Monty Sharma steps out of one of the recording studios at Yash Raj Films nervous, almost distressed. As he opens the door, a robust acoustic sound, booming out of one of the recording consoles inside, wafts through the silent, freezing corridor that also acts as a lobby. Sharma is in the middle of composing the background score for Sanjay Leela Bhansali’s next movie, Saawariya, a romantic saga releasing on 9 November. As the word on Bhansali goes (from those he has worked with), he frightens his crew to perfection. True to that reputation, he has ensured there is no half-hearted milling around, as Sharma’s assistants, the studio assistants and office boys prepare for the director to arrive. For Sharma, known just as Monty, it is a time of dire purpose—having composed the background score for Bhansali’s Devdas (2002) and Black (2005), he landed the job of composing Saawariya’s soundtrack and background score. The nervousness is quick to ease, as he reminisces about a long, not-so-unusual journey in Hindi film music. He learnt the ropes of composing music in an acclaimed family of musicians. Thirty six-year-old Monty—and Mithoon, another young music director in the industry, who has composed for films such as Kalyug (2005) and Zeher (2005)—belong to the family of Pandit Ram Prasad Sharma, Monty’s grandfather and father of Pyarelal, of yesteryears’ hit duo Laxmikant-Pyarelal. “I started learning the piano from my grandfather at the age of five. He used to pamper me and give me money if I worked hard. Later on, when I was a teenager, Pyarelal, my uncle, would let me assist him, and I used to attend live recordings of the orchestras he used to conduct for film soundtracks," Monty says. The layered acoustic, orchestra sound was the hallmark of his background scores for Devdas and Black, and characterizes much of Saawariya’s soundtrack. After two years of trial, error and improvisation—and with Bhansali passionately involved at every step—the soundtrack was finalized. “About 200 musicians contributed to it, in violin, viola, cello, sitar, double bass guitar, tabla, banjo, tumba, conga and other instruments," Monty informs. The final product is an eclectic platter—hyped much before its release and more soon after it, when Bhansali said at the launch event: “I can’t think beyond Monty. He’s a complete music director. He’s my Rahman." The soundtrack doesn’t exactly live up to the hype; a hangover from the sounds of Devdas is recognizable in most of the songs. But Monty’s foundation in Indian and Western classical music, a sensibility that Bhansali has always sought out and promoted in his films, impressively stands out. The music certainly redeems the ordinary lyrics by Sameer. Over the two years that Bhansali and Monty collaborated after the film’s script was ready, many tunes were rejected. “Sanjayji often took months to finalize a song. He was almost like a co-composer, but he never restricted me creatively. I was free to push the envelope and that finally paid off." Bhansali himself has composed one of the songs, Thode Badmash (reminiscent of the stylized baritones of Bairi Piya in Devdas), sung by his favourite playback singer, Shreya Ghoshal. Says Ghoshal, who has also sung other numbers in the album: “That song was entirely Sanjayji’s creation, but the credit for the entire soundtrack should go to Monty. Although this is his first complete album, he knew exactly how to use each singer and he took risks with newcomers." Debutant Shail Hada, 32, a trained classical musician who sings the title track, was a music teacher in Mumbai when he met Monty at a party in 2004, while he was composing for Black. It helped that Bhansali also loved Hada’s voice, somewhat reminiscent of singer Abhijeet’s. After the album’s release, Monty has received offers from all quarters—the big banners and smaller, niche productions. 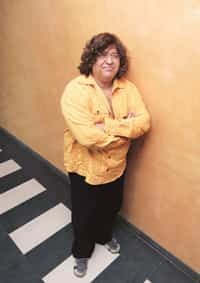 “After playing the keyboard and arranging music for other music directors for years, it feels good," he says, recalling his first job as a keyboard player in Shekhar Kapur’s Mr India (1987). But, he says that the day he knew this day would arrive was when he was writing his Board exams for Class X; an incident best narrated by his famous uncle, Pyarelal—“It was an important recording for me, and at the last minute, I needed someone to play an instrument for me. I had seen Monty grow musically, he was a natural. So, I told him he would have to help me out. Soon after finishing his exam, he ran to my studio and did a perfect job." At the studio, still somewhat nervous, Monty reasons why he cannot divulge the names of the directors who have approached him, when Bhansali steps out of the elevator and walks into the studio. The acoustic notes float into the corridor again. Obviously, it’s time to take leave.